If you might be playing the role of everyone’s favourite elf this year, than you need this quality Plush Fur Hat. Measuring around 40cm from head-band to the tip of the fluffy white pom-pom, this hat is made to have a flexible fit that will accommodate a wide range of wearers. This is the perfect fashion accessory for any party or gathering, and would be a fun addition to your Christmas day celebrations. 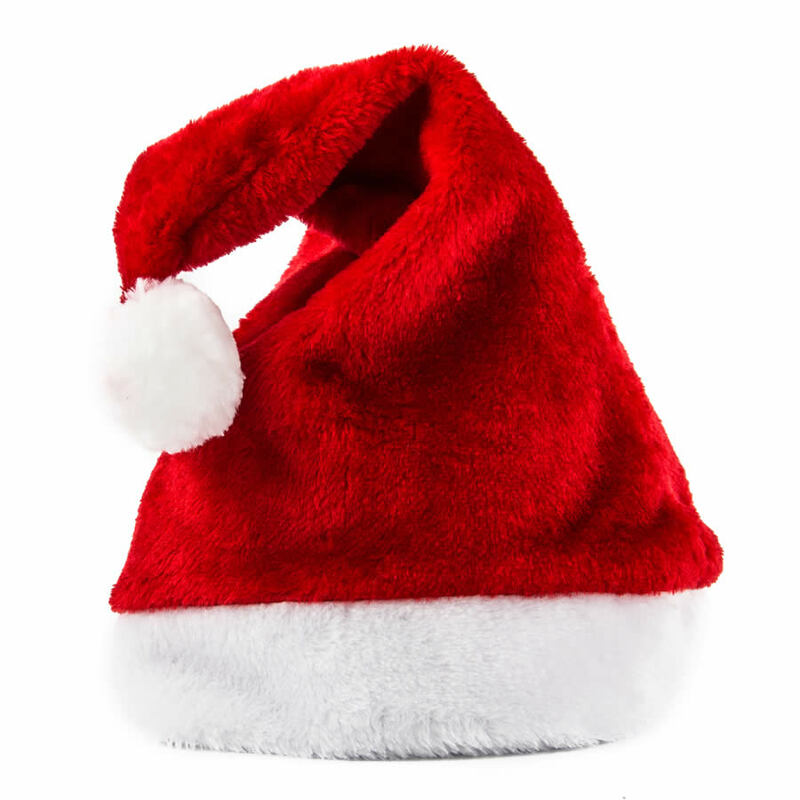 Look the part with this thick and furry Santa hat and consider giving one to someone as a comical and clever Christmas gift, too. Imagine giving this fun novelty to the office Scrooge, or to someone who has a difficult time adopting holiday spirit. It will evoke smiles and laughter when worn, from both those wearing this quality cap as well as all those around you. Get back to the simple pleasures of the season, and enjoy this fine Santa Fur Hat this Christmas!